15.09.2015 - We are glad to inform that prices were changed a bit. You can also send SMS to MTS Ukraine using SMSPM service. Thanks. 15.08.2015 - Belarusian company Velcom, the mobile operator, has upgraded its GSM and UMTS network in the Minsk and Gomel regions to completion. This has increased capacity in the region – by adding 230 base stations. It has also introduced new infrastructure to better the SMS and 3G networks in and around the region. It will now do the same for the region of Brest. 15.08.2015 - Mobile operator in Belarus, Velcom, is now offering the Microsoft Lumia 640 in its stores. It has a 5 inch screen and is powered by a tetra-core processor. It’s available on an 11 month contract, and has tariffs with similar SMS, call and internet data usage plans to its other product line staples. 13.08.2015 - MTS Belarus is currently running a promotion. In addition to their regular mobile internet, SMS and calls packages, subscribers will also be able to get free on-net calls. The offer can be taken up by using the USSD menu. 29.07.2015 - Life:), a mobile operator from Belarus, have announced that from the 6th of August, their Roaming Life :) offer will be expanded. This will also include calls which are under the coverage of French network Orange and Russian network Tele2. These will cost 7500 BYR per minute and each SMS will be 1500 BYR. 30.01.2013 - MTS says that its mobile internet user base rose by just over a quarter last year to reach 1.5 million at the end of 2012. 10.01.2013 - MTS added 22 new retail stores during the past year to take its total to 80 stores across the country. 05.11.2012 - Belarus' MTS has opened its 1,500th reseller store in the country. 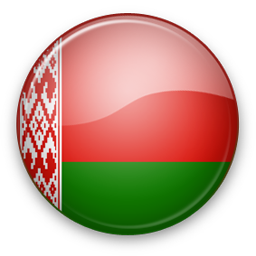 Q: Do you support all Belarus networks? A: We support MTS, life:), velcom and other networks. If some SMS network is missing please contact us and we will find solution for you. We work worldwide! A: You can find documentation and integration examples on Web SMS Gateway page.